Hello,I am writing to get some information about recycled equipment,� which were not being used since I want to make them work. It is a Scientific Atlanta udama skylinx.dds, I have got the idu and its odu.The antenna is a 1.8m prodelin.Has anybody got the manual or any information of these pieces of equipment? I wish you could help me! I have some experience with a 4 board chassis, an RF board, channel unit boards, Ku band outdoor unit. 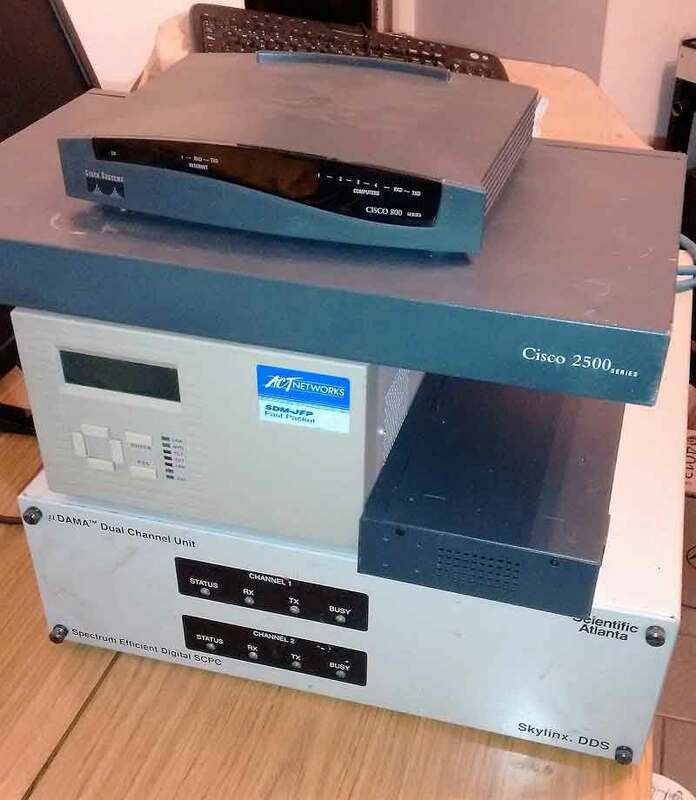 If yours is similar, then it is conceivable that a low bit rate point to point data or voice system could be set up with two terminals.� Do you have several units?� Do you have antennas and space segment (transponder bandwidth) available? Read here Skylinx voice call/data VSAT system I have no idea if the Eutelsat DSAT-160 service, hubbed out of Italy is still operational. Thank you very much for your reply and willingness as I am a beginner in the area. Let me tell you that I�ve got the following pieces of equipment ofwhich I attach some pictures to the given email address. I�d like you to guide me how to use these pieces of equipment since I�ve not got satellite internet subscription as it is expensive. I�d like to achieve some kind of link experimentally with the aim of learning in a practical way. I heard that it is likely to download satellite images free and legally. Is it true? Any help or guidance would be of great help! So that others can see what you have, here are the relevant pictures. I have no idea how to operate it. Your Skylinx microDAMA hardware is a different version from what I worked on (8000 series Skylinx). As far as using it is concerned, it would only work in a network with a matching teleport hub equipment and presumably many other sites similar to yours for other users of the network to whom you might wish to communicate. It could have been used by a company with a need for phone calls (8 kbit/s) and low speed data between a dozen remote offices scattered across Atlantic, Africa, Middle East and Indian Ocean islands. I suspect your equipment is from some obsolete network that has been closed down and the equipment scrapped. 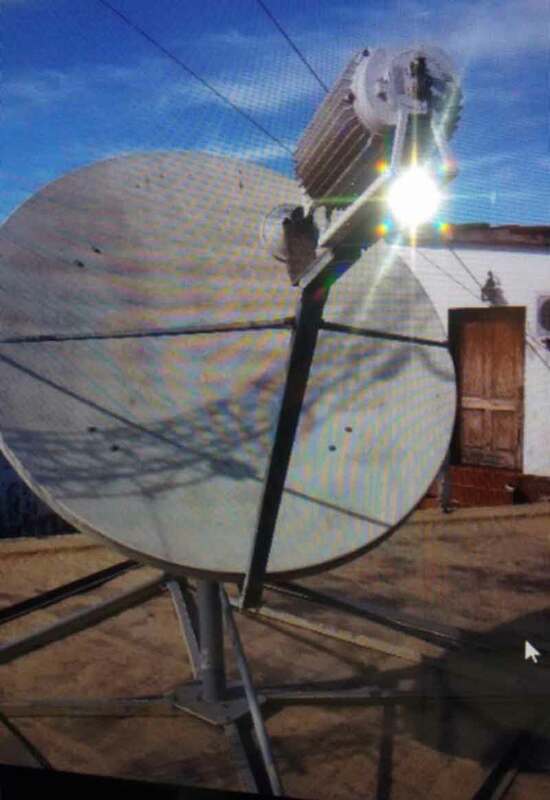 If you want a legal and least expensive satellite internet access service: if in N.America or Europe investigate consumer level Ka band systems using Viasat Surfbeam terminals (Exede or Tooway networks) or Hughes HN9200 terminals (Hylas network).